Today's VDI is like the Apple Newton. Some people loved it. Everyone else wished it was an iPhone. I was talking to [my now colleague] Alex Barrett a few days ago about a story she was writing on VMware View 3. Referring to my article where I said DO NOT USE VDI TODAY, she asked whether View 3 was game-changing enough that people could actually start using VDI. I was talking to [my now colleague] Alex Barrett a few days ago about a story she was writing on VMware View 3. Referring to my article where I said DO NOT USE VDI TODAY, she asked whether View 3 was game-changing enough that people could actually start using VDI. Before we discussed View 3, I wanted to clarify my statement where I said that people should stay away from VDI today. First of all, that statement was the second half of a sentence. The whole sentence was "Unless you have a very specific tactical need, DO NOT USE VDI TODAY!" In other words, if today's VDI products can solve a real problem in a way that Terminal Server-based solutions can't, then by all means, go for it! My point was that using VDI in the more broad sense to replace every desktop in your company is not realistic right now. After I wrote that article, I ended up talking to folks from Citrix and VMware. And for once, they were in agreement with each other 100% (in the "an enemy of my enemy is my friend" kind of way). They each said something like, "VDI is just tactical today? Why don't you tell that to [insert name of big customer], who has 5,000 desktops running on [XenDesktop / VMware VDM]. You think that's 'just' tactical to them?" This made me realize not that I was wrong in my thinking, but that I was wrong in the way I was saying it. Sure, anything that a company does that changes the way thousands of users access their desktops is going to be viewed as "strategic" by someone. But the point remains that these were very specific users with very specific use cases. (We've been writing about the concept of "use cases" for years.) So that was my mistake. My sentence from a few days ago should have read "Unless you have a very specific use case, DO NOT USE VDI TODAY!" As each vendor introduces new technical capabilities into their VDI products (offline, bare-metal hypervisor, better protocols, etc. ), the "use cases" circle expands. Eventually (may I suggest by June 1010? ), the "use cases" circle will be big enough to include just about all desktops in all companies. What's this have to do with the Apple Newton? As a reporter, Alex was looking for a way to explain all this to her readers. I'm a fan of analogies, and as I was talking, it occurred to me that the state and evolution of VDI (today and in the future) is like the state and evolution of the Apple Newton. 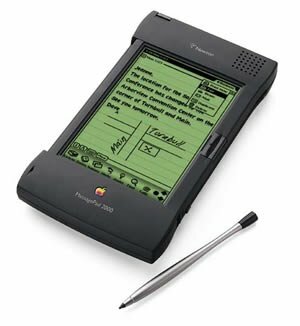 The Apple Newton was arguably the world's first PDA. It came out in 1993, three years before the first PalmPilot (called the USRobotics Pilot back then), and six years before the first BlackBerry. Unfortunately the Newton really sucked. It was slow, too big to fit in a pocket, it devoured AAA batteries, and the hand-writing recognition was so bad that even Doonesbury made fun of it. But the real problem was that the Apple Newton didn't do what people wanted it to do. Even in 1993, everyone wanted an iPhone. Of course they didn't know it at the time, but they wanted a device with batteries that would last all day that they could fit in their pocket. They wanted music, GPS, phone, internet, and an easy way to enter text. Does this mean that there was absolutely no use for the Apple Newton? Of course not! I'm sure there were some people for whom the Newton was the perfect device that solved their exact problem, and I'm sure they bought hundreds of these things and were positively ecstatic about them. But for the more mainstream folks, the Newton was an early attempt at solving a problem. People wanted to love it (and they loved the idea of it), but certain real technical limitations meant it would remain a niche product. Today's VDI lovers are Newton lovers have a lot in common. The reality is that today's VDI solutions are niche solutions. Period. Sure, both VMware and Citrix have many customers with more than 1,000 deployed seats of VDI, and there are probably several hundred thousand (maybe even a million or two honest-to-goodness full-on VDI users today.) But the reality is that there are somewhere between 500 and 700 million enterprise desktop users in the world. And even if they all had the knowledge and access to today's VDI products, the reality is that only a small percentage (let's say 5%? Maybe 10%) would be able to use VDI today. The rest would run into some technical limitation. Here's the good news: The iPhone rocks. Sure, it took fifteen years to get from the Newton to the iPhone. But just because the Newton sucked didn't mean the iPhone never came to exist. The same will be true for VDI. VDI (or VDI+?) will rock. It will change the face of IT. We're not there yet, but we'll get there. In the meantime, if you're thinking about VDI today, look at your users and use cases. If there's a fit, then make a buy. But if not, sit back for a year or two and look again, because the chance of VDI being a fit for you increases every year. 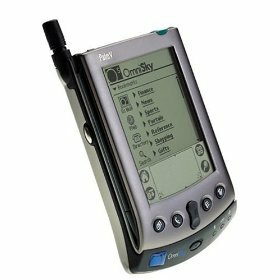 As I was writing this post, I debated whether to use the Newton as analogy, or the OmniSky modem attachment for the Palm V PDA. The Omnisky was this sleeve thing you slipped the Palm V into. It was a CDPD wireless modem that used the 800Mhz cell phone network to run at 19.2kbps. I remember getting my email on this thing and even being able to surf the web. (Gabe had one too, for his Handspring Treo.) I wanted it to be cool, but the thing was like an inch thick, super slow, and coverage in MAYBE 5% of the places I actually went. I showed my boss when I got it working. "Does it make calls too?" What? What kind of idiot was this guy? I mean here I had a device that I could take outside and get my email, and it was small enough to fit in my briefcase! And he wants it to make calls too! I really wanted the Omnisky thing to work. I told everyone how awesome it was. I glossed over the downsides and hiccups. But I knew in my heart it wasn't really solving my needs. Blackberries were introduced a year or two later, and a few years after that they were making phone calls. So in that case, we got from the crappy-but-proves-the-concept to super cool in just a few years. And that's where we are today with VDI. Hmm....you feelings for the OmniSky are the same feelings I have for my iPhone. I've been trying out VMWare View for a few days now, and while I think it is better then the previous VDM versions, IMO still needs some more work. Am I the only person that thinks View should just integrate with Virtual Center? Why do I need yet another web based console to manage something that already came with a client-side management console!!! While the Apple Newton did come out in 1993 the World Wide web at the time was quite in it's infancy. The common man didn't even know what it was then. It was mostly used by govt and universities. So I think your dates of wanting something like that back then are a little premature. The newton was produced until 1998 and by then I would believe you are correct they would want that but not in 1993. You were only like 18 back then weren't you Brian? bottom line no one wanted an iPhone in 1993, heck Cell phones still pretty much sucked back then. And music not on a Record Plaryer or a Cassette Deck. They wouldn't of known what that was. Loved this post... keep it up Brian. Are we missing an important point here? Talking about VDI as it looks today, as a solution that in the future could cover all our needs does not really make sense. Currently we lack feature X and Y to be satisfied and to fully embrace VDI, but in my experience we will lack feature Z when they are working, and this will continue to happen, so we will always be one step behind and never get ahead of the game. VDI has never been seen as the future for high end graphics and video. Thinking of todayâs VDI as a solution for all types of workloads is purely theoretical, and not a practically plausible solution unless we take a different approach. We must simply accept that some things are better off being run locally on the thin client device, and really why shouldnât they? Looking at the Net Book concept as being the most drilled down version of a laptop currently available very suitable for offline VDI, it is still equipped with a 1.6 GHz + processor and to think that the chip manufactures will keep on producing these slower processors also seems a bit far fetched, so they will become even faster in time. Also looking at the raging battle of the protocols it does make sense, but we seem to forget an important point, why would I really want to load my servers with the task of compressing HD-Flash Video from the internet, sending loads of traffic over my internal network and decompress it again on my client, it seems to be the long way around to accomplish what I could have done directly from the fast enough client. So letâs forget the ideal dream of VDI in the âoldâ sense and think forward on how to merge the best of it all to make the VDI vision come true for real.